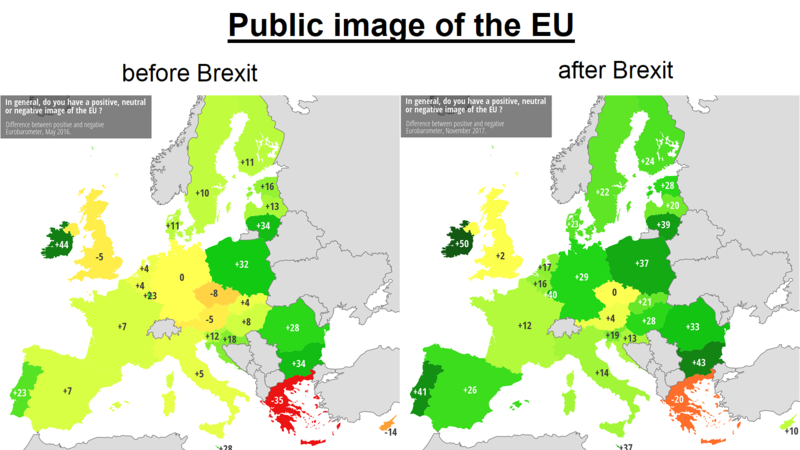 The map above shows how each European Union (EU) country views the EU as a whole based on polls conducted by Eurobarometer in May 2016 vs November 2017. 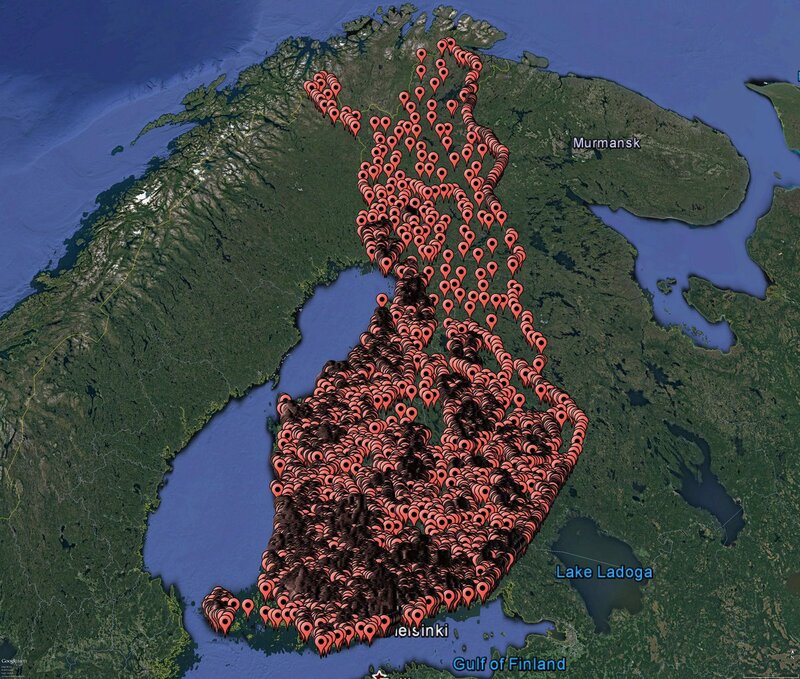 The map above supposedly shows all the public saunas in Finland. 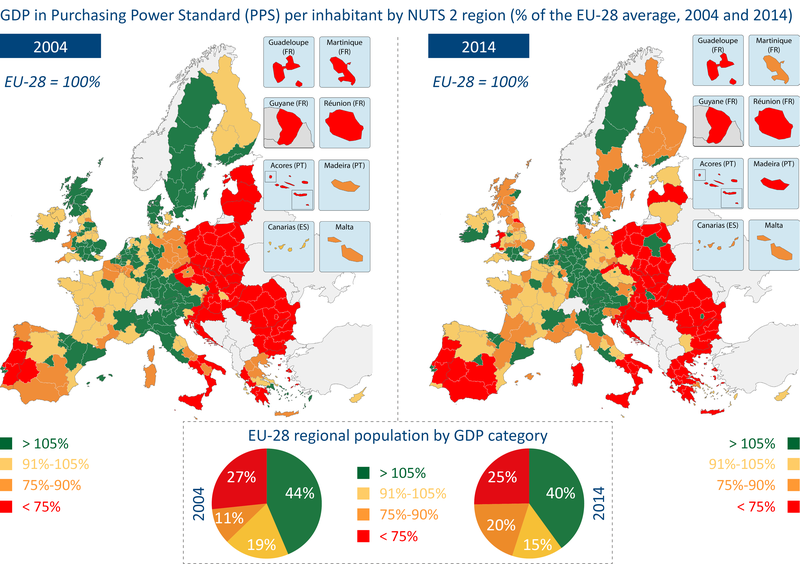 According to Statistics Finland, the total number of saunas was estimated to be over 2 million at the end of 2016 out of a population of just 5.5 million people. 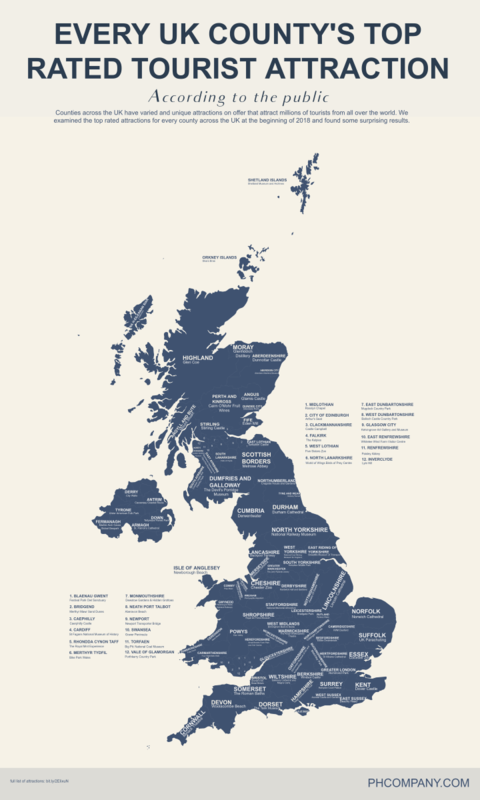 The map above shows every UK County’s Top Rated Tourist Attraction as voted on by members of the public. 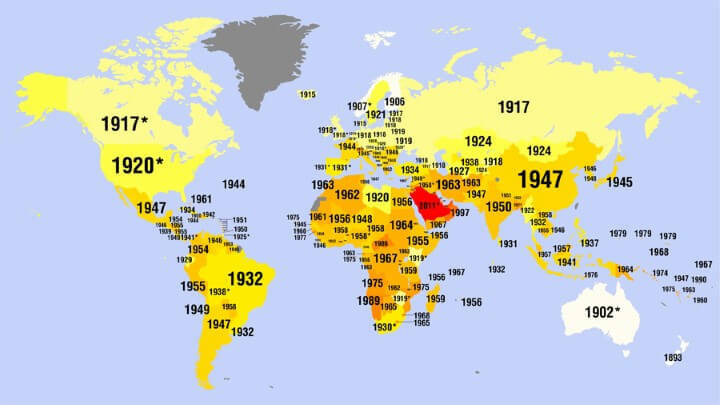 It was created by the Principal Hotel Company and there are likely a few surprises. 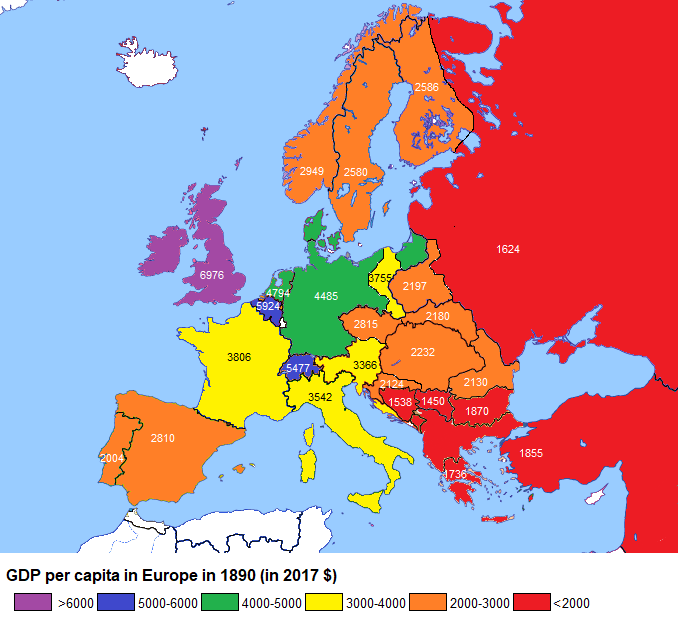 The map above shows the very approximate GDP per capita for various European states in 1890. 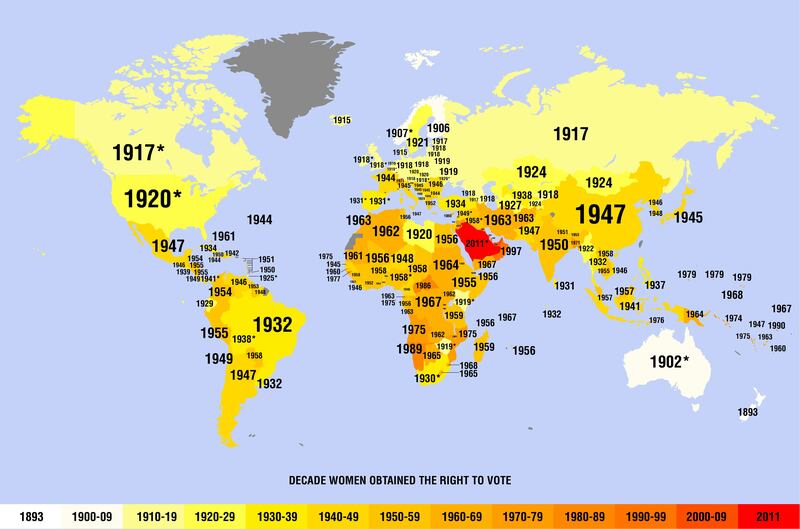 Below we look at how these have changed over the past 127 years. 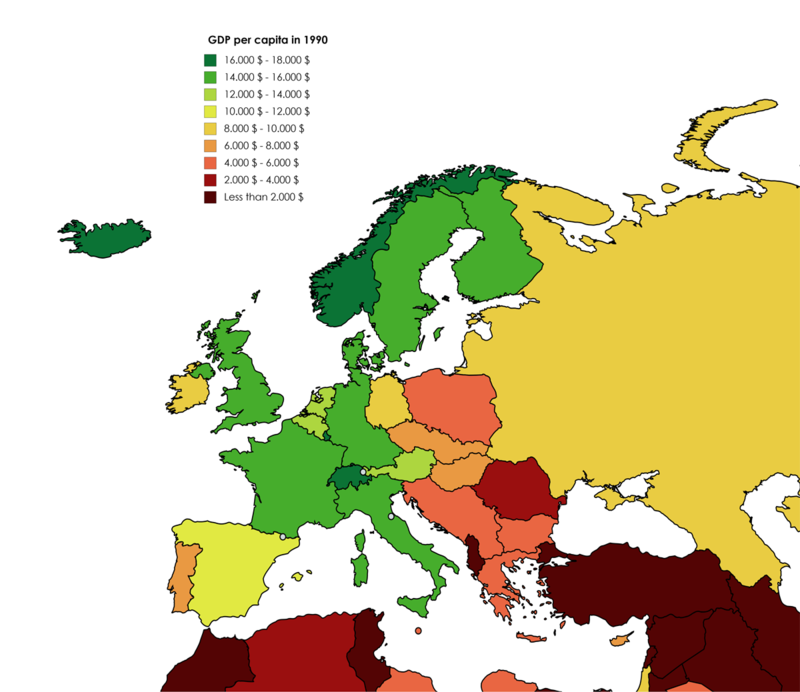 The map above, which shows GDP per capita for European countries in 1990 (just as the Iron Curtain was falling), reveals a general increase as one travels from east to west and from south to north. 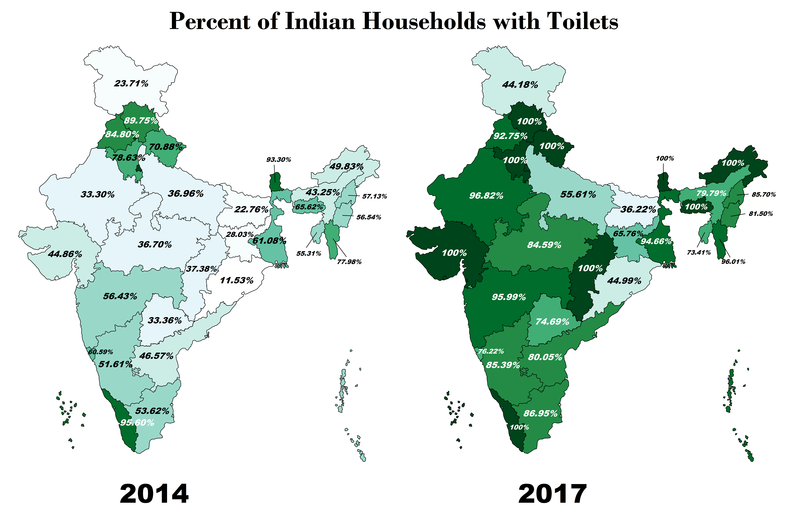 It also invites the question of what may have changed in the intervening quarter century. 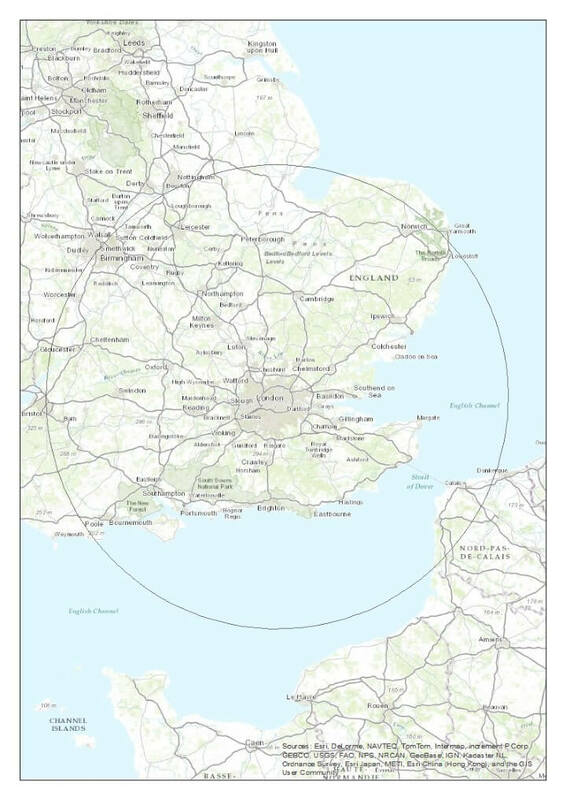 The map above shows how far out from London you have to go before you get 50% of the UK population (not including the French of course). Have you ever wondered how much of your city is accessible by public transport within 60 minutes? 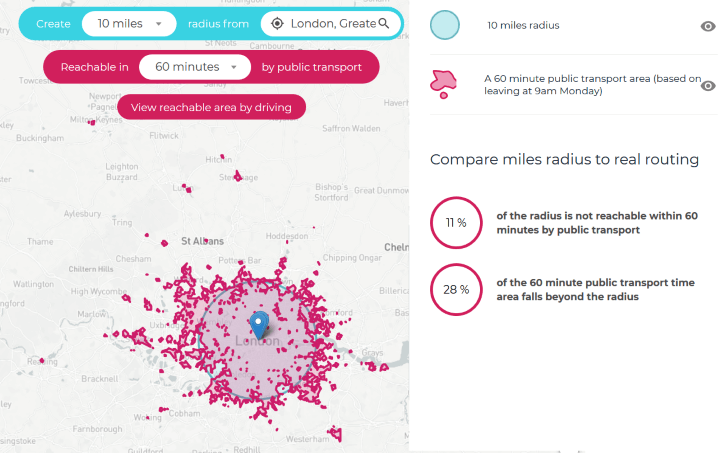 Well TravelTime Maps have created a really cool radius tool that allows you to explore how far you can get in a given amount of time.